Royal Vegas is one of the most known names in the casino industry, mainly due to the user friendly interface and variety of games provided. When you join RV, you’ll be able to choose from more than 500 casino games, powered by MicroGaming, the industry leaders in gambling software development. This casino is also a part of the Fortune Lounge Group of casinos, known as the industry veterans. Join Vegas casino and receive $/£1,200 in new player bonuses! As already mentioned, RV Casino is powered by the Nr.1 company in the software market, MicroGaming that is. This gives you a chance to choose from more than 500 games and do so in either a downloadable version or an instant play one, which is done directly from your web browser. The latter will be a great fit for players who use Macintosh or Linux powered devices for their gambling ventures, as the downloadable client currently supports only Windows powered devices. 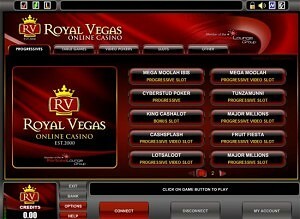 A quite recent addition to the offerings was Royal Vegas Mobile, which now allows users of iOS powered devices, such as iPhone and iPad, to play a wide range of casino games. The same applies for all devices powered by Android. The Dark Knight – a big hit slot machine that has been created after a big hit movie. This one is based on the movie Batman and features all the symbols from the movie, including himself. With up to 243 ways to win, you’ll surely keep yourself entertained. Hitman – a popular MicroGaming slot created after the big hit console game with the same title. Play on up to 15 pay-lines and watch out for the Hitman, as he is the wild symbol and will triple your winnings on any active pay-line. Loaded – slot machine game displaying the high life and everything that comes along with it. 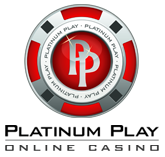 Play on up to 25 pay-lines and look out for the Loaded symbols as these will bring you a 560,000 coin payout. Immortal Romance – have you heard about the movie called twilight? Of course you have, it’s been a killer and so has this slot game. 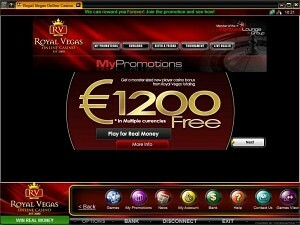 It’s a recent addition to the portfolio of Royal Vegas Casino and offers the all new feature of 243 ways to win. Mega Moolah – flagship progressive slot on RV Casino. It’s one of the oldest and most known ones in the industry too. 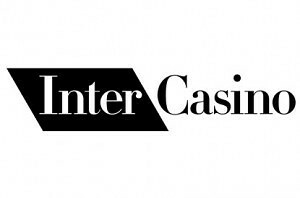 Other Games – Baccarat, Sic Bo, Caribbean Poker, Casino Hold’em, Craps and the list goes on forever.. The list of games is far from the end, after having listed all relatively popular games. You’ll also be able to play a variety of arcade games, scratch cards and even keno. There’s little to no chance that you might not found the game you’re looking for at this casino. That’s a total of 1,200 in free money! All bonuses will be credited to your account within an hour of your qualified deposit. This is done because of the security check your account has to pass, before a bonus can be credited. Bonus terms and conditions show that you’ll have to wager 30x the bonus amount before a withdrawal can be requested. Almost all of the games do count towards wagering requirements, but different games will contribute different percentages. Note that bonus will be credited to your account in 10 unit increments as you play, meaning for every 300 credits wagered, you’ll receive an increment. This is assuming you play slots which contribute 100% of their wagers.